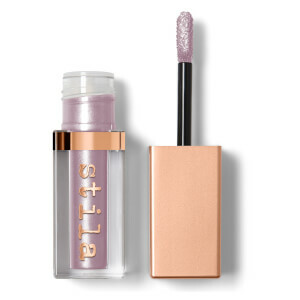 Coat your lids in pearlescent luster and shine with American cosmetics label Stila’s bestselling Glitter and Glow Liquid Eye Shadow Duo-Chrome. 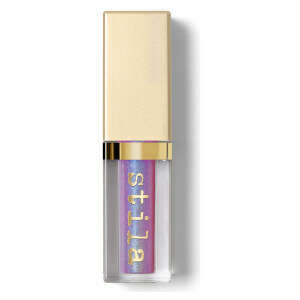 The water-infused formula glides on effortlessly and dries smoothly with a lightweight feel and no flaking or fallout. With just a flick of the wand applicator, you can illuminate your eyes with multidimensional opalescence for show-stopping peepers. Water/Aqua/Eau, Mica (Ci 77019), Aluminum Calcium Sodium Silicate, Hydroxyethyl Acrylate/Sodium Acryloyldimethyl Taurate Copolymer, Squalane, Polysorbate 60, Synthetic Fluorphlogopite, Calcium Sodium Borosilicate, Phenoxyethanol, Caprylyl Glycol, Hexylene Glycol, Glycerin, Triethanolamine, Carbomer, Tin Oxide, Silica. (+/-) Carmine (Ci 75470), Titanium Dioxide (Ci 77891), Ferric Ferrocyanide (Ci 77510), Iron Oxides (Ci 77499). <Iln C161199 >.